The four innermost planets of our solar system (Mercury, Venus, Earth and Mars) are called the “terrestrial” planets. The name comes from the word “telluric” derived from the Latin words “terra” and “tellus”, used to refer to Earth. They are made mostly of silicate rocks and metals, with solid surfaces and atmospheres that range from thick (on Venus) to very thin (on Mercury). Earth is the only one with liquid oceans, although Mars may have had them in the past. Earth is the most hospitable to life. Mars may have supported life in the past, but there is no evidence that conditions have ever been life-friendly on Mercury or Venus. Each of the terrestrial planets has a central core made mostly of iron. The layer above the core is called the “mantle” and is usually made of silicate rocks. These are rocks rich in silicon and oxygen. The terrestrial planets are also sometimes referred to as the “rocky” planets. The surfaces of terrestrial planets have mountains, craters, canyons, and volcanoes. About 75% of Earth’s surface is covered in water. Both Mars and Earth have permanent polar ice caps. None of the terrestrial planets in our solar system have ring systems. Planetary scientists suspect that they may once have had rings that have since disappeared. 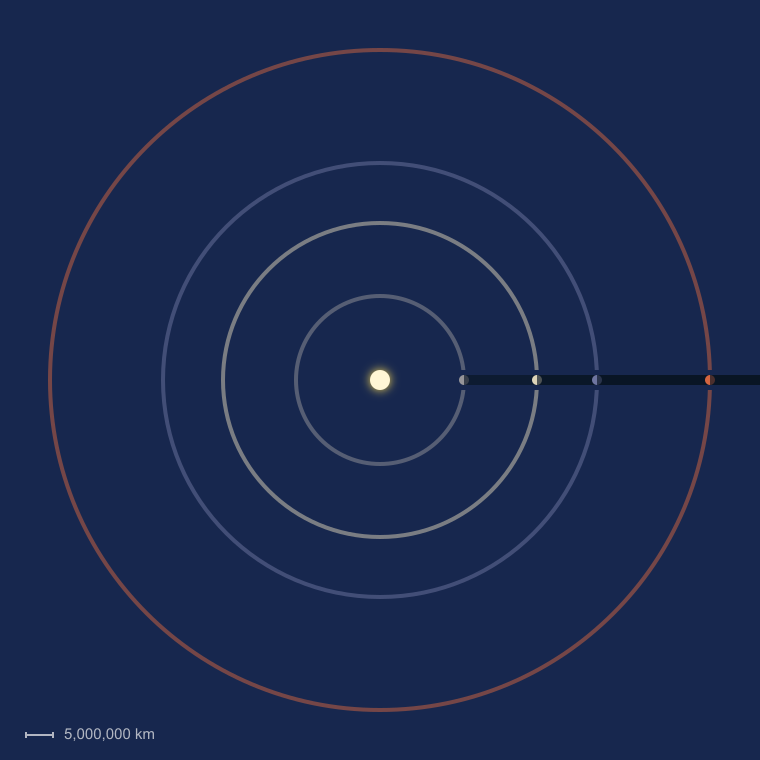 There is one dwarf planet considered to be terrestrial-type world: Ceres. It has a rocky core and an outer mantle, with surface features such as craters and mountains. Terrestrial planets exist around other stars. Data from the Kepler mission suggest Earth-sized and so-called “super-Earth” worlds exist throughout the galaxy. There could be up to 40 billion such exoplanets in the Milky Way. Find out more about the inner planets by selecting one below.